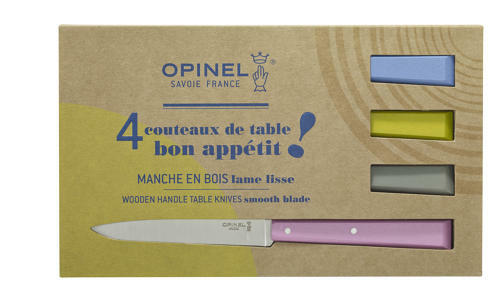 COUNTRY INSPIRED FOUR KNIFE BOX SET - Set of four knives in powdery and romantic shades. The coloured handles are made from Hornbeam, a light wood with few veins. Hand washing is recommended to preserve all the qualities of the knife.